Pristine Wood Finishing Ltd - Furniture Repair/Restoration based in Folkestone, Kent. 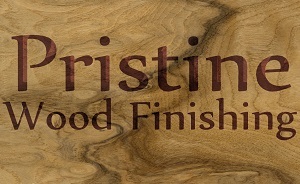 After over thirty years of experience in furniture polishing I decided to start my own company, Pristine wood finishing, where we strive to provide a high standard and put the beauty back into your wooden world. We have been trading for just over four years and can cater for all your polishing needs. We specialise in furniture repairs and restoration in all types of stain, lacquer and paint. Insurance and contract work undertaken with free estimates. Furniture, kitchen units, cupboard doors and the like are all finishing touches that deserve high quality finishes. We strip and renew such items with a choice of any colour for the new finish. Expert in the application of all wood finishes we are able to return your wooden accessories to their former splendour.